Smartphones are no longer just a luxury for the rich. According to a survey ordered by New Relic there are more smartphones activated each day than there are babies born. More and more, our lives are migrating to our phone as we use apps as part of our daily lives, as well as use our phone it to stay up-to-date on the world and its events. If you are running your own website, you want to consider creating a mobile site to ensure that you reach your intended audience no matter what device they are using. Optimization for mobile devices is becoming a necessity. Tablets are another popular option for people and most of them run off of a mobile operating system, such as Android. According to Google, 1 out of 5 web searches are now on a smartphone. Your website might seem like it works fine on a mobile device, but is it optimized? Is your audience going to be able to navigate it seamlessly and find the information that they’re looking for? Smaller graphics load quicker on any platform but it can be especially important when it comes to mobile design. Research the most common resolution for the most popular smartphones so you know what you’ll be working with. Analytics can be especially useful in this case as well, allowing you to know exactly what devices are typically being used by your visitors. You can use the same options that you did when designing your website for the first time. If you used software to get your website going, check and see if that software also allows you to create a site for mobile devices. 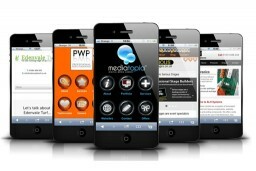 You might be surprised to learn that your software package has options for mobile web design right out of the box. If you prefer working with templates, you can find plenty of mobile website templates to choose from, many of which are fairly inexpensive. The template option can be a viable choice even if you didn’t use one for your original website. When it comes to mobile web design you want consistency between the sites, however it doesn’t need to be an exact replica. Experiment with free options, check for sites that allow to you to design a free website and see if they have mobile options. 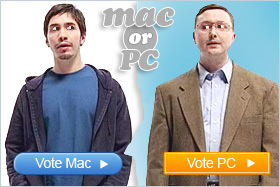 Keep in mind the difference between operating systems. Android and iOS have different UI guidelines, so the website you create for one might not work properly on the other. Keep design principles in mind, just because you are working on mobile, that doesn’t mean you need to throw out basic concepts. Keep it legible, your design choices should be clean and have a layout that is easy to understand. Prototype and test your design on as many devices as you can and get feedback. Try to cut back on the amount of input your users will need to put in to your mobile website. Remember they are likely going to be working with a small keypad on their touch screen and not have access to a keyboard. Make it easier for them, design around their needs. Having a mobile website makes your content easy to access no matter what device is being used, there is no reason not to have one. Freelance writer; love to write on new technologies and gadgets. My areas of interests cover Web Design, Photography, Social Media, WordPress and Technology.